School resumes this Sunday, January 21. 1) Passport pick up this Sunday, 12 noon. 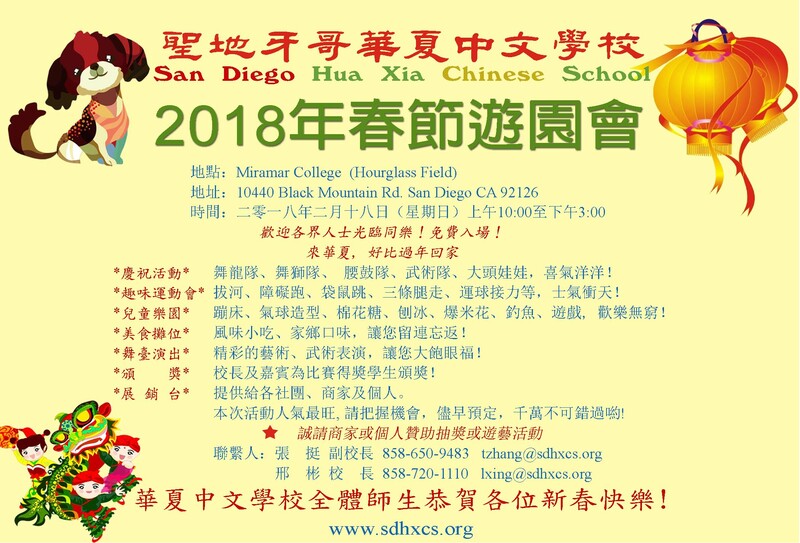 2) 2018 Hua Xia Chinese New Year Festival (attachments 1 & 2) is getting closer ! (February 18) Thanks to all the teachers and room parents who organize class activities and stage performance. It is much funner when everyone involves. 3) Yaogu, or Chinese drum team will start practice this Sunday, 12:00 - 1:30pm. Join us now! It's fun! No experience needed.